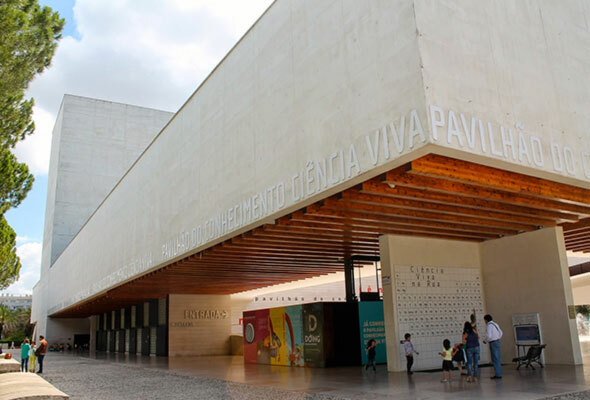 The FIL Meeting Centre is a deconstructivist marvel built in 1998 for the Lisbon World Expo. There are numerous public transportation options nearby and plenty of car parks. The building is entirely accessible. Located at Rua do Bojador. If you flew to Lisbon the best way is to take the subway on the station underneath the airport. 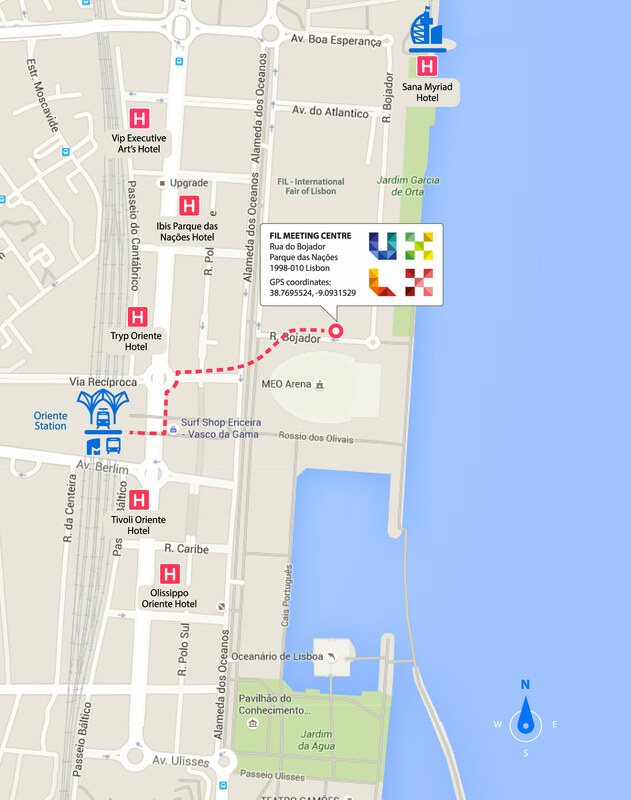 The venue is just 3 stops away (stop at Oriente station). You can also get the AeroBus, but takes longer and is more expensive. If you came by train, then stop at Oriente station and you're already a stone's throw from the Venue. If you came by bus, you probably arrived at the Oriente Station, which is only 200m away from the Venue. If you came from another city within Portugal you probably went to Sete Rios. There’s a subway station nearby, so just hop into the Sta. Apolonia headed train and switch on São Sebastião to the red line, stopping at Oriente Station. The Lisbon subway is modern, clean and safe and covers most of the city. Where the subway doesn’t reach, there’s a bus. Tickets for both and interchangeable and you can get them on vending machines on the subway. A ticket is just €1,40 (there’s a first-time 50 cent charge for the reusable card) but you can buy several tickets at once or muti-day passes to get some savings. In either case, just head to Oriente Station. 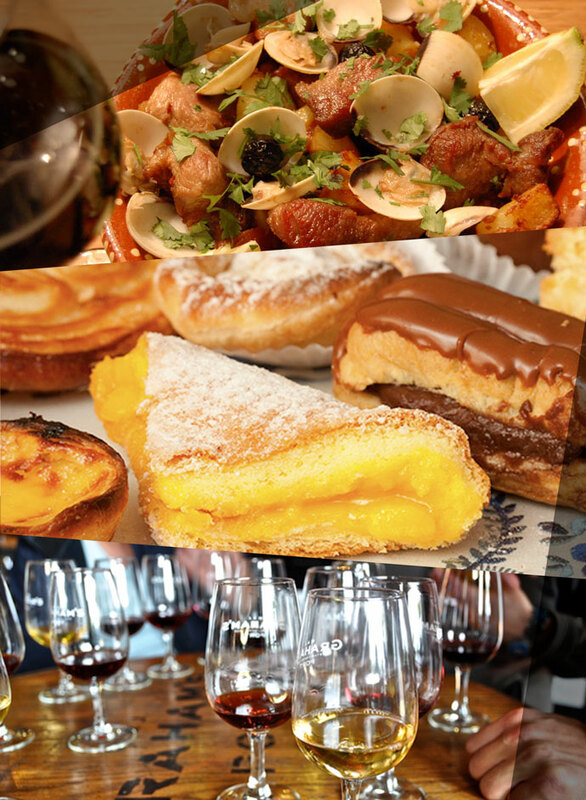 Hearty portuguese food in a modern restaurant with a traditional feel. Located at Av. D. João II, 11B. A restaurant focusing on the portuguese culinary staple, the codfish. Located at Rua da Pimenta, 45. A small, cozy vegetarian restaurant, part of The Daily Meal’s Top 25 Vegetarian Restaurants in the World. Located at Rua Cais das Naus, 4.01.01. A breezy fusion sushi house, with a great ambiance and esplanade. Located at Alameda dos Oceanos, 4. One of the best burguer houses in Lisbon with lots of fifties rock’n’roll memorabilia. Located at Av. Dom João II, Lote Nº 1.17.02, Loja B.
Iconic fisherman’s bar, serving Gin and incredible grilled sandwiches. Located at Rua da Pimenta, 39/41. There’s plenty to see and do around the Parque das Nações (Nation’s Park) neighborhood, where the venue is. 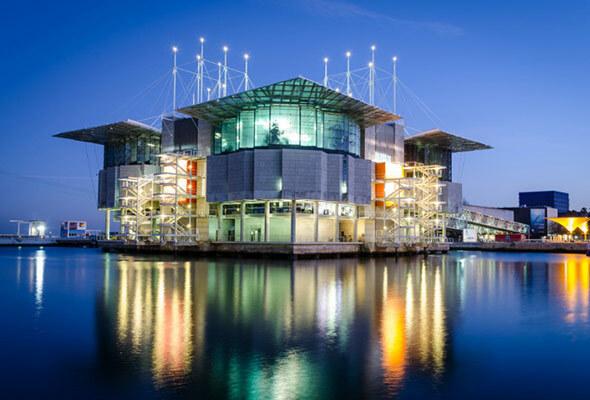 Built in 1998 for the 98’ World Expo, it’s the newest neighborhood in Lisbon, with striking modern architecture and dozens of art works lining its streets and parks. You can’t ignore the Vasco da Gama bridge, the longest in Europe, standing on the Tagus estuary, one of the largest in Europe, with a width of 15km across. If you’re up for a stroll, the Parque Tejo is one of the largest parks in Lisbon, and at the very North end you can even do some birdwatching as hundreds of birds flock there to eat. One of the best and largest Aquariums in the world, it’s visited by 2 million people every year. The main tank is a massive 5 million litres and houses hundreds of different fish, from Sharks to Sun Fishes, but also birds, amphibians and mammals. A modern science museum, it holds a permanent collection of fun science experiments. Each year, new temporary exhibits are presented in the main and secondary hall. It’s a great place to visit with children. 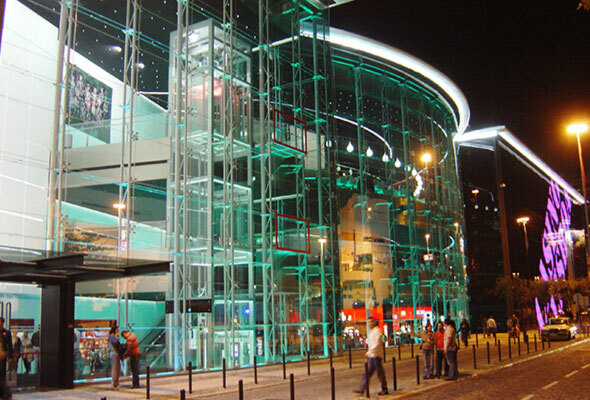 The only casino in Lisbon, it’s a colorful place, presenting several music and comedy shows in its large auditorium and has several restaurants inside, including a rotating one. And of course, you can try your luck and hit the tables.